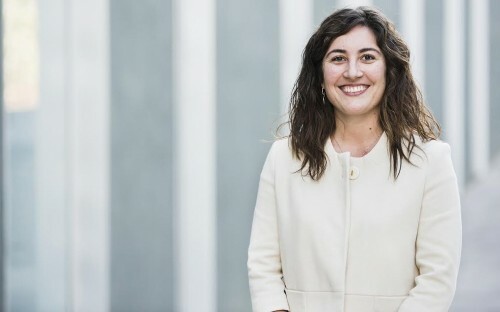 “I wanted my MBA to be a truly transformational experience,” says Sara Lopez Castro, who snubbed other top-ranked European business schools to pursue a two-year, full-time MBA at ESADE Business School in Barcelona. Sara, who worked in operations for Dutch healthcare technology company Philips before business school, had always wanted to try her hand at management consulting. At ESADE, she landed a summer MBA internship at McKinsey & Company. She’d always wanted to start her own venture and be an entrepreneur. At ESADE, she co-founded an online tea business with a classmate in her second year. 94% of the 190 full-time MBA students at ESADE come from outside Spain. 48 different nationalities are represented in the current MBA class. Determined to make a difference, Sara became president of the ESADE MBA Student Association, setting up the MBA Student Association clubs fair and a student-run MBA blog. During her final MBA semester, she experienced life as an MBA student in the US, as an exchange student at Duke University’s Fuqua School of Business. This month, she’s joining the 96% of ESADE MBA grads who change career tracks – either region, industry or function – joining Liberty Mutual´s Corporate Development Program after graduation, and fast-tracking her career at a Fortune 100 insurance firm. How did you secure an internship with McKinsey? ESADE was a great support. I’ve always been interested in consulting, so one of my MBA goals was to do an internship to experience the industry first-hand. I participated in ESADE’s Career Acceleration Program for Consulting, where we had practical workshops on case-cracking. We also had lectures from senior consultants to get a better understanding of the job and the so-called consultant life. Moreover, I was a member of the Consulting Club, which helped me a lot with interview preparation. The club would organize case-cracking sessions and we would practice and give feedback to each other. What can you tell us about your role as president of the ESADE MBA Student Association? When I joined the ESADE MBA I knew I wanted to contribute to the program, to get involved with the school, to improve our experience as a class. As the weeks went through I saw that the MBA Student Association was the place I could contribute the most, so I run for the board and then for President. During my year as president, I am most proud of two things: the ESADE MBA blog – written by students – where we show to the outside world all the great things happening at ESADE, and establishing an internal transition process for the Student Association and the Professional Clubs. Why did you decide to pursue an MBA at ESADE? I chose ESADE over other business schools because of its unique culture and values. When I visited ESADE I immediately fell in love with the school. ESADE emphasizes team spirit, collaboration, hands-on experience and flexibility. The diversity of professional backgrounds and nationalities adds much value to the learning experience; the class discussion is extremely rich. At ESADE the focus is on people. Everyone is nice, helpful and approachable. It is something you feel every day during the program. We are a small class so there is a very close feeling. We’ve become like a family. How have you profited from your ESADE MBA experience? The MBA gives you the tools to succeed in whatever you do and the people around you give you the energy and the courage to pursue your dreams. You are surrounded by extremely smart, diverse and fun people 24/7 and that influences all spheres of your life. For example, in my second year at ESADE I co-founded an online tea business because I wanted to experience how it is to be an entrepreneur. That is something I would have never done without the ESADE MBA. I feel ready for the challenges that will come down the road. The different MBA classes, the many hours of teamwork, the presentations in front of big audiences, and the initiatives as president of the MBA Student Association; all these experiences in the past two years have equipped me with the knowledge and soft skills to deliver in my future roles. First, you need to know what you want to get out of the MBA. People do this program with different objectives. You might want to develop a network in a specific location, get expertise in a certain industry or function, or get international exposure. There are many reasons to do a MBA and it is important to know which ones are yours. Afterwards, you need to find the school that best suits your needs. Every school has its differentiating factors. The school values, strengths and culture will play a very important role in that experience, so it is key to do a good research before choosing. Invest time in talking to alumni and visiting the school. Once you have all this figured out, just prepare to enjoy two amazing years!